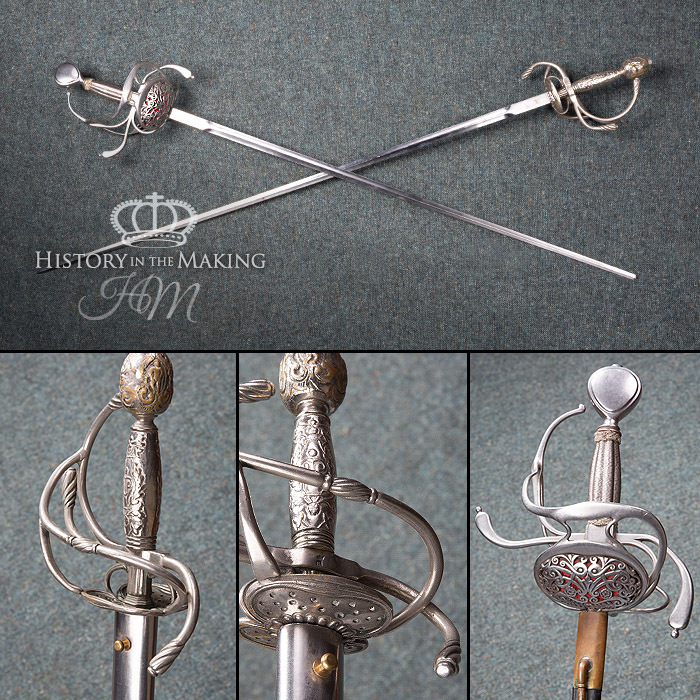 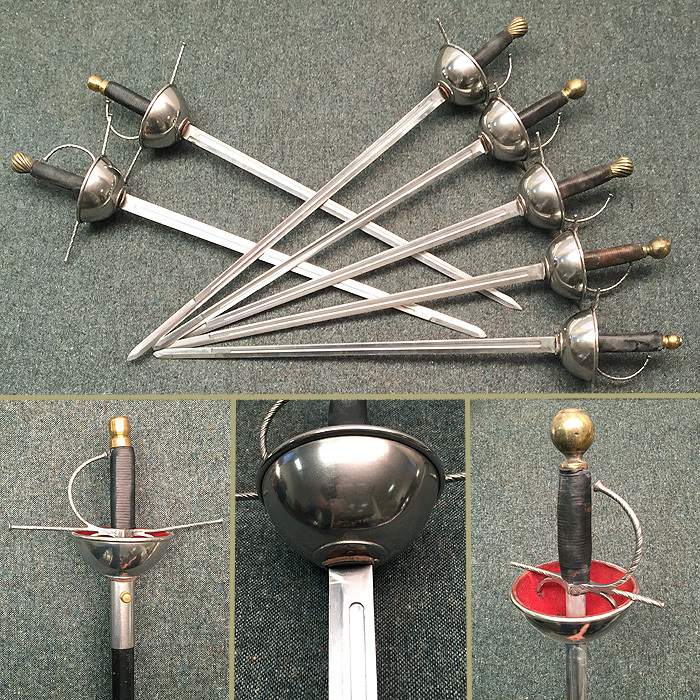 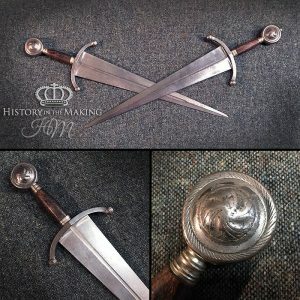 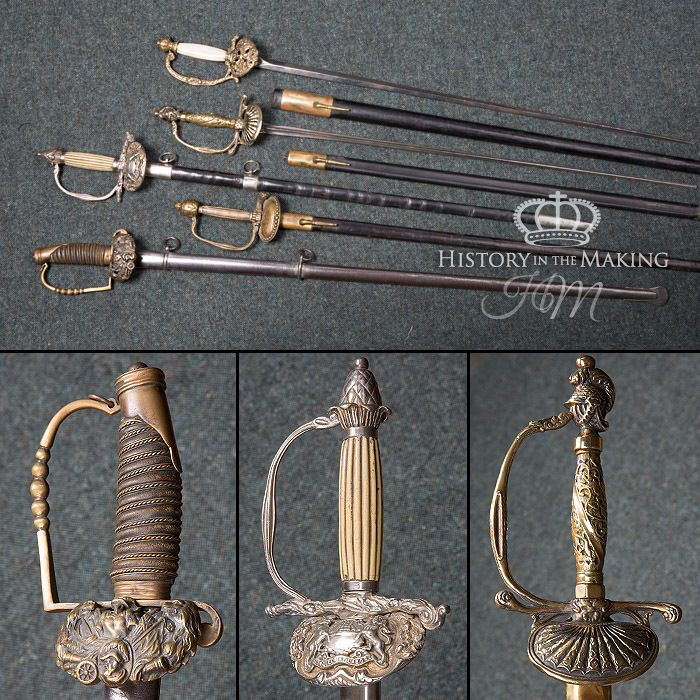 We have a large stock of swords that are appropriate for the Renaissance Period. 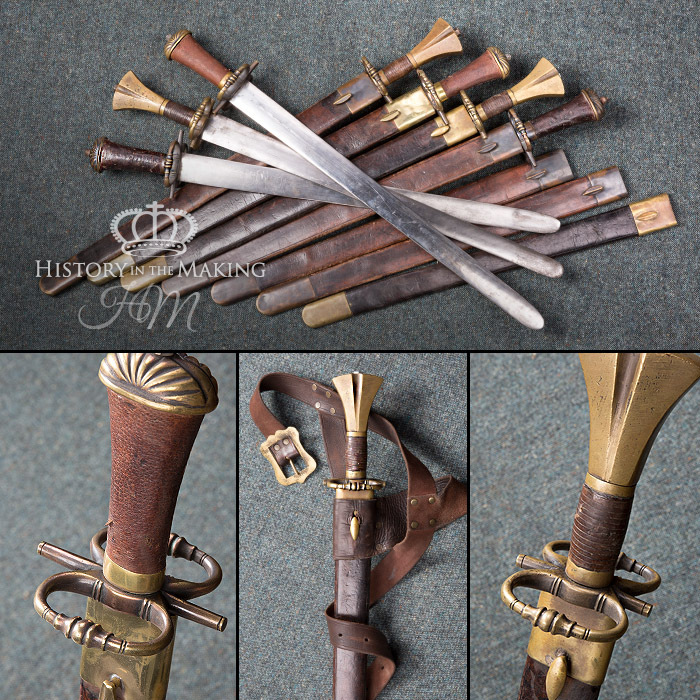 We have two main types of Swords, Dress or Costume Swords and Practical or Fight -Ready Swords. 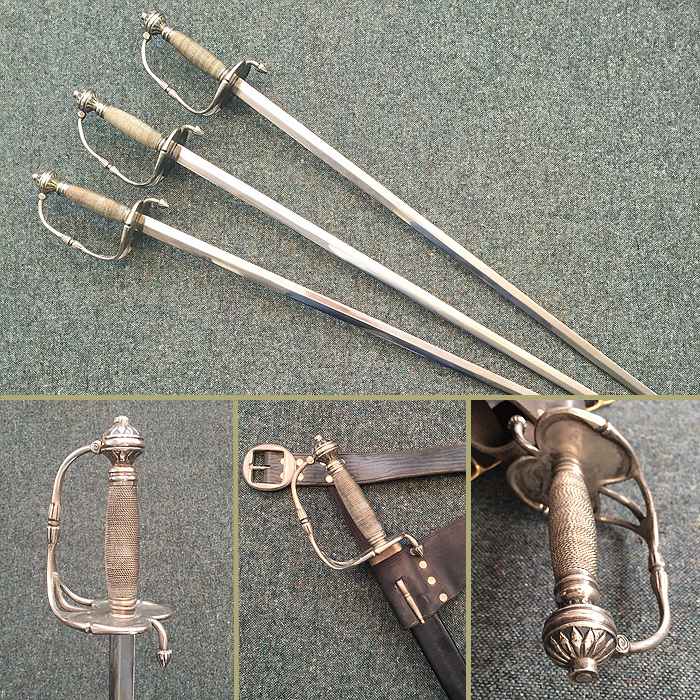 Our range of Swept-hilt and Cup-Hilt are supplied with a sprung Steel Rapier Blade or one of our Duralium Blades for Stage Combat. 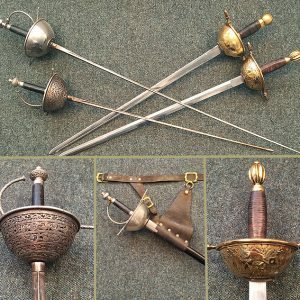 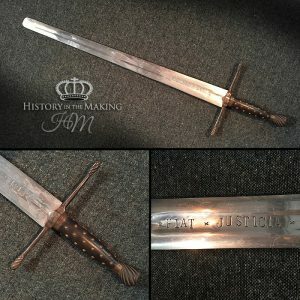 All of our Costume Swords have mild Steel blades. 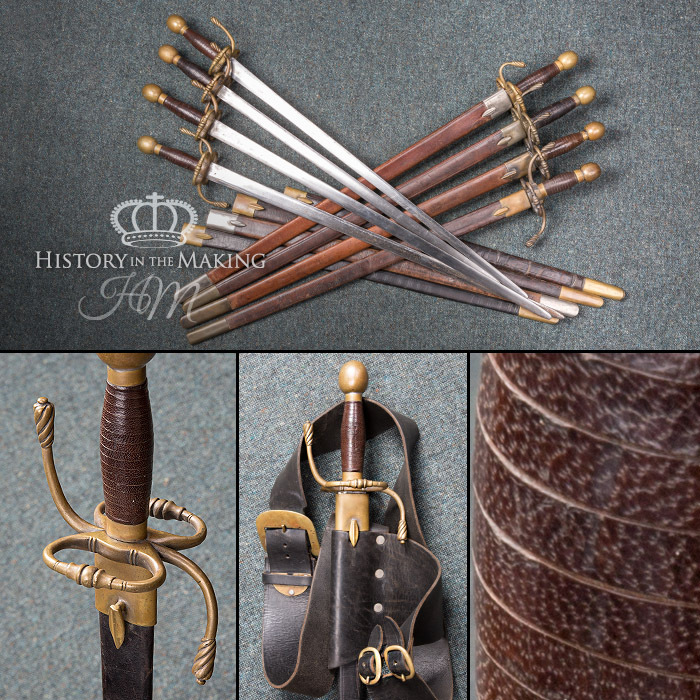 All Swords are supplied with a scabbard and can be worn on one of our leather sword belts. 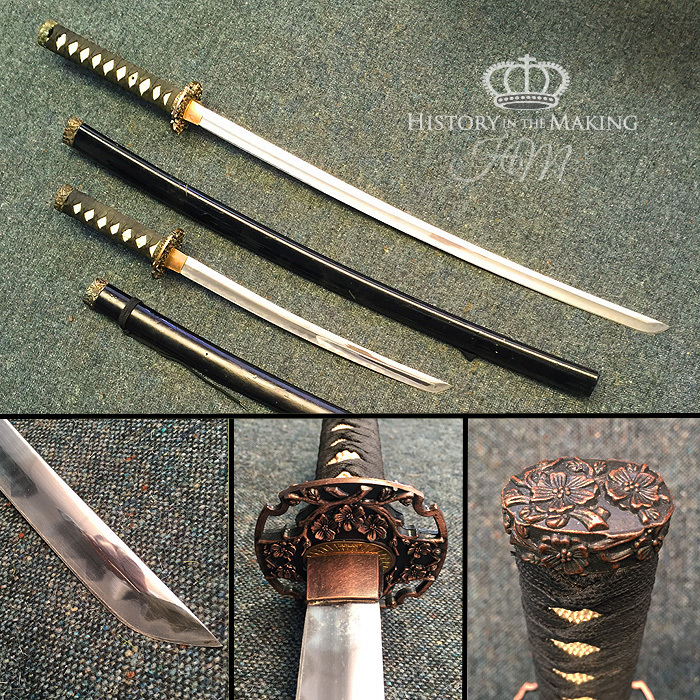 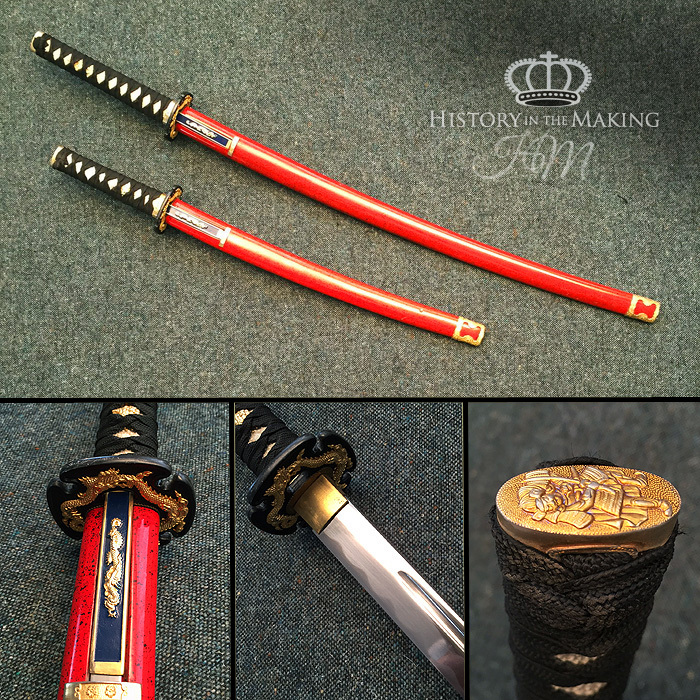 Japanese Red Katana and Wakizashi- Costume Swords.